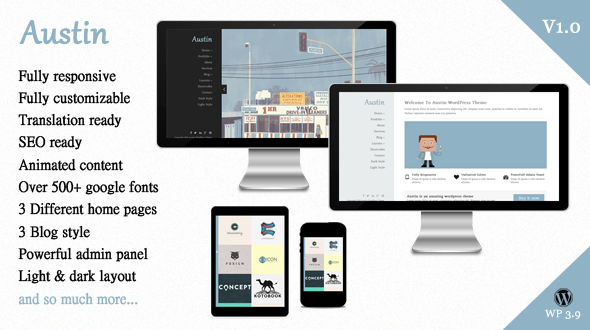 Austin is a clean and creative wordpress theme that is stylishly multi-purpose and fully responsive. With a modern design, new technology and powerful suite of features Austin is ideal for creatives, corporates or blog websites. Austin comes with many preconfigured pages and has unlimited possibilities to customize them in other different ways.